Qualitative research encompasses a broad range of market research techniques that companies can use to solve critical business challenges or inform new strategies for growth. While most are familiar with the broader “qualitative research” term and what that entails, it can be overwhelming to understand the ins and outs of each different qualitative method and how it can help. At Kelton, we work to find the right insights mix to help brands solve major pain points and develop actionable strategies for growth. Most of the time, our solutions involve a qualitative research component – and for good reason. While quantitative research remains important, incorporating in-depth, thoughtful qualitative research can foster empathy for your customer and incite organizational action. By understanding the drivers, motivators and factors that cause a customer to make purchasing decisions, a company is able to better communicate, shape perception and form powerful brand narratives. Focus groups are comprised of a small group of six to eight people with different backgrounds and points of view, although they usually have one thing in common (e.g. they use or don’t use a product, have heard or not heard of a brand, etc.) Consumers participate in an open discussion, guided by a moderator. Focus groups are typically held in a facility with a one-way mirror for observation, but we sometimes use more creative or immersive settings when the project calls for it. Focus groups encourage open conversation, diversity of opinions, and idea-building based upon the ideas and perspectives of others. You can use focus groups to test creative or advertising copy concepts, discuss brand perceptions, products or services, and ideate with customers to optimize portfolio offerings. It is also typical to conduct focus groups in a variety of geographical areas (domestic or international) to enhance the quality of opinions across different consumer groups. Co-creation sessions are different than focus groups in that they are more focused on the iteration of ideas and concepts. The facilities are less standard, with locations that foster creativity and inspire differentiated thinking. These sessions can be used to understand products, their overall look and feel, design functionality and differentiation between other similar products. There is typically stimulus involved to immerse participants in the product or concept development/iteration process. 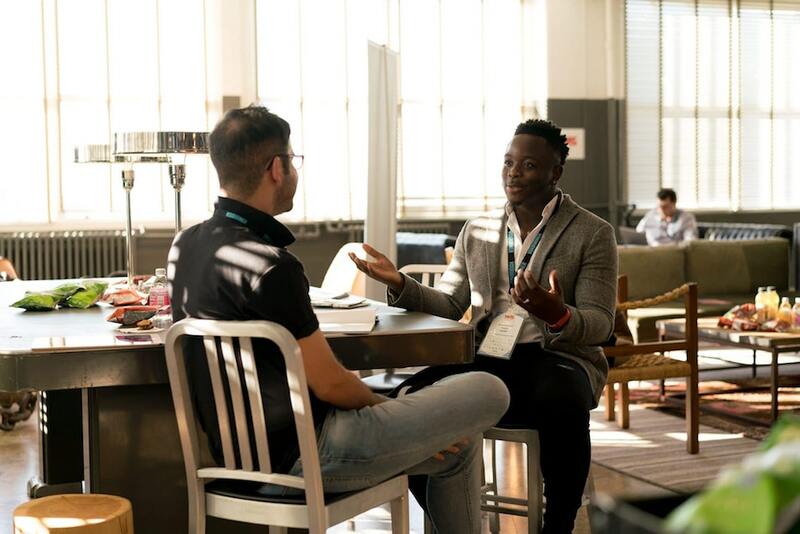 Co-creation sessions are incredibly valuable, as they allow customers to actively work with the products to determine anywhere from pain points to necessary features. By involving consumers in the creation process, your product becomes more consumer-focused. An online platform that acts as a prolonged focus group, Kelton’s SmartCommunity offering encourages further ideation and provides rich insights. By using this platform, a brand can gain a more varied audience representation since recruitment isn’t limited by geography, demographics or socioeconomic factors. There is usually a larger base of participants, which is more cost- and time- effective. Respondents are also encouraged to think through their answers, rather than provide opinions on the spot, which can elicit a more accurate account of their specific preferences and experiences. Through Kelton’s SmartCommunity platform, input by participants has proven to be more rich, surprising and powerful to brands, products and services. Ethnographic interviews are one-on-one, in-person discussions that include a participant and a moderator. They typically occur in a participant’s home where they are most comfortable and willing to open up about their lifestyles, preferences and inner thoughts/beliefs. By getting up close and personal with consumers, we can uncover how shoppers interact with categories (i.e. how do they navigate their kitchen? Closet? Bedroom? ), products (i.e. what hygiene products do they use? Cooking utensils? Technology? ), experiences (i.e. what do they see as necessary? Unnecessary? What are they saving for? What do they see as a waste of money? ), and motivations (what is causing them to make purchasing decisions about certain products, services, or categories? Is it their living environment? “Just what they did” as a child?). Ethnographic interviews help companies understand their consumers at more emotional and functional levels, fostering empathy and helping to uncover unmet needs or pain points. Shop-alongs are an extremely powerful tool that can be used to see the purchase journey come to life in real time. We spend time with participants in a store to observe how they interact with displays, and how they respond to the various products they encounter. We can understand how they shop for specific needs/wants, browse, make decisions, while also understanding the influence of packaging and in-store advertising – all extremely valuable information to for marketing, advertising, and product teams. Immersive observation allows us to uncover behaviors and motivations that customers don’t even consciously realize, and this information feeds into actionable strategies for brands and products across many categories. Every tool in this qualitative toolkit can have a large impact on your organization – and drive action from your customers. It can help you change how they think about your brand, products, and offerings. The sky is the limit through thoughtful qualitative research that sets your business up for success from inception to fruition. Hopefully these qualitative research methods and their uses can spark inspiration and motivation to learn more from the most valuable thing you have – your customers.